Those three words are the rallying cry of President Donald Trump's polarizing policy on immigration at a time when the American people are deeply divided on how to secure the nation's southern border. The president has declared that funding for a wall is necessary to stop what he calls an invasion of people - many of them young - from Mexico and Central American countries seeking to enter the United States illegally. Many Republicans in Congress and voters around the country support Trump's hard line on immigration. But many Democrats don't. They want to end the crackdown on undocumented immigrants and provide a pathway to citizenship. What legislation will become law out of Washington, D.C., where the immigration issue is entwined with a second potential government shutdown, is still unclear, as is the president's ability to use other funds to build a wall. The irony is that the wall may not even be as necessary as its proponents think it is in the first place. Because rhetoric aside, not every young Honduran, Guatemalan, or Mexican wants to sneak across America's southern border (or claim asylum at an official crossing). In fact, many young people from these countries are staying put, for various reasons. Some have too much to lose. Some do want to go, but feel the trip would be too physically risky. And some are quite at home in the country they're in. Dafhne Izaguirre, 24, a psychologist, lives in San Pedro Sula, a northern city in Honduras. Like her cousin, who moved to the U.S. to become a doctor, Izaguirre has thought about moving to the U.S.
"As a psychologist, the opportunities in my field are very slim," she said. The U.S. "is a well-developed country with a lot of career opportunities that are not available to me. I would love to be able to learn more and bring that back with me." Izaguirre is one of the lucky ones. She has a stable job, and she's surrounded by friends and family. But Izaguirre says the job situation is troubling. "Opportunities that do exist are usually taken by those who have the right connections," she said. "Many times, young people who yearn to have their dream jobs have to settle for what they find even if it is not within their field." Izaguirre shared her thoughts about the group of people who formed a caravan and left San Pedro Sula on Oct. 13, 2018, with the goal of reaching the U.S.
"People are running away from gang violence, extreme poverty, or they're trying to earn a better life for themselves. They chase the American dream in the hope of being able to provide for the family they left behind," Izaguirre said. "Many of them are even running away from life-threatening situations." Still, she doesn't think it's worth risking their lives - especially when they bring children with them. However, she acknowledges, "I have not gone through what they have, so I am in no place to judge." Marggie Diaz Castro, 25, a lawyer and musician, also lives in San Pedro Sula. Like Izaguirre, she loves her home: the mountains; the beaches; the coral reef. But she'd still leave. Castro would go to Europe, however, not the U.S. In addition to the everyday expenses that limit her quality of life, she said, taxes are too high. She'd also like the type of health insurance she thinks she could get at a company abroad. "We live in a country where you are not able to take a walk at night because you can get mugged by someone. You always have to be surrounded by men to feel safe." Still, she, too, thinks the risks people take to get to the U.S. are just too big. She's heard stories about people who have been raped along the way. And others have landed in the drug business. So Izaguirre and Castro are staying put, while those who live with fewer opportunities brave what can be a treacherous, 2,000-plus-mile journey through multiple countries. Sophia Recinos, 16, is not one of them. She is a full-time student in Guatemala City. Her biggest priority is graduating from school. She's comfortable at home and has no interest in going to the U.S., but she sympathizes with people who do. "The life young people live in Guatemala is uncomfortable if you're not economically privileged. Guatemala is a country that cannot provide resources that other countries can," she said. Luis Salazar, 15, a teen in Guatemala City, agrees with Recinos that the idea of a wall is degrading. Although he doesn't believe the wall is necessarily a bad thing, he disagrees with the message it sends. "Not all of us who want to go to the U.S. have bad intentions. Most of us want to find work and better opportunities." On Nov. 16, 2018, the caravan arrived in Tijuana at the U.S.-Mexico border. Ten days later, in a Tweet, President Trump called for Mexico to move the migrants back to their countries, stating that many of them were stone-cold criminals. 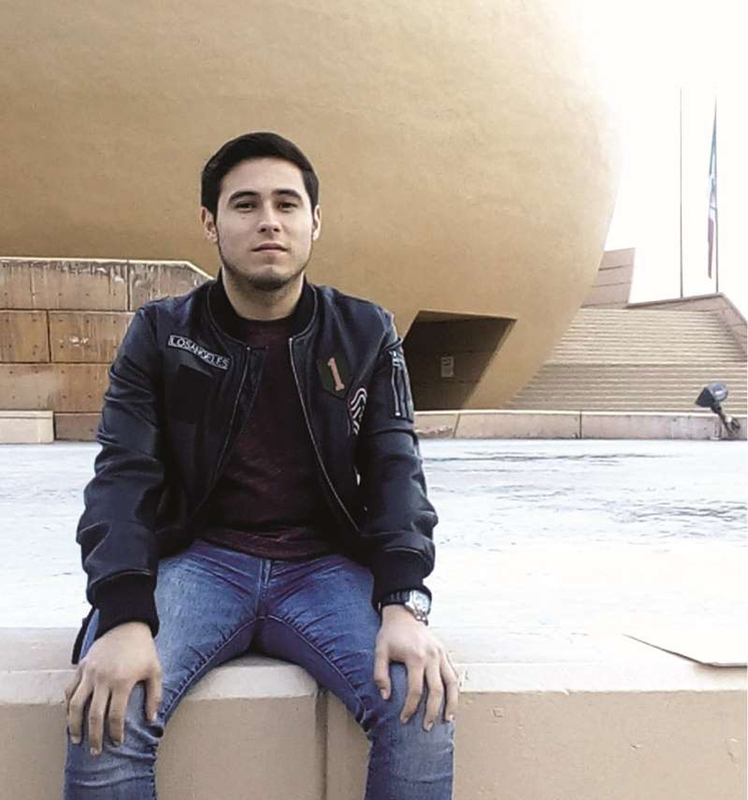 Manuel Hugo, 17, a high school senior living in Tijuana, said that he, like most people, has only seen migrants from the caravans on TV. Of course, he has heard stories about people who make the journey, some good and some bad. "The positive ones, everything turns out well. They find a good job, and I guess you could say they have a new life," he said. "The negative ones, people could not find work. They get deported or they experience harassment or bad treatment." Despite the violence, injustice, and discrimination he sometimes faces, there's an upside to Tijuana, he said. "We have many places to visit, we have lots of restaurants, we also have people from many countries, and lots of cultural diversity. It's not a little town or ranch that people from outside might think it is." Hugo is not against a wall, so long as Mexico doesn't have to pay for it. "It's on his territory, and he should pay for it. Otherwise, I do think it´s a good idea to prevent illegal crossings." Young people on the other side of the wall have messages for President Trump. "Just place yourself in the position of not being an American," said Castro. "Latinos have had history building up the U.S.A."
"Please listen to those immigrants," said Izaguirre. "You will realize that they are not coming with any bad intentions. They are scared and desperate, and, for most of them, the U.S. is a lifeline."